S.S. Maria Theresa made its debut in March 2015 joining its two sister ships in the Uniworld fleet – S.S. Antoinette and S.S. Catherine. The ship is 443 feet long and 37.5 feet wide and carries up to 150 guests and 57 crew members. Staterooms range in size from 162 square feet up to 410 square feet. There are two dining venues on the Maria Theresa. Guests can enjoy snacks in the more casual Viennese Café and dine in a more formal atmosphere in the Baroque Restaurant. For those who are fitness-minded, the ship has a heated swimming pool as well as a fitness center. Another added feature is that 94 percent of all staterooms have either a French or full balcony. There are 2 stateroom categories on the first deck and all are located Midship. Category 5 is a Standard Stateroom. There are 4 staterooms available located Midship and Forward. This category features a large picture window that does not open. Stateroom size is 162 square feet. Category 4 is a Standard Stateroom. There are 6 staterooms available located Midship. This category features a large picture window that does not open. Stateroom size is 162 square feet. There are 2 stateroom categories on the second deck located Midship to Aft. Category 3 is a Deluxe Stateroom. There are 7 cabins available located Midship and Aft on opposite ends of the ship – 3 are located Aft and 4 are located Midship. This category features a French balcony. Stateroom size is 194 square feet. Category 2 is a Deluxe Stateroom. There are 29 cabins available located Midship and Aft. This category features a French balcony. Stateroom size is 194 square feet. There are 3 stateroom categories on the third deck. Open-air balconies with the touch of a button will raise the glass to create a completely enclosed conservatory. Category 1 is a Deluxe Stateroom. 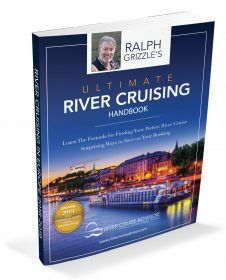 There are 18 cabins available located Midship and Aft. This category features a full balcony. Stateroom size is 194 square feet. Suite – There are 10 suite staterooms available located Midship to Forward. This category features a full balcony. Stateroom size is 305 square feet. Royal Suite – There is only 1 full suite (#401) available. It is located Forward. This category features a French balcony. Stateroom size is 410 square feet. All cabins feature handcrafted Savoir® of England beds draped in 100% Egyptian cotton linens and a menu of pillow choices, generous built-in closets, hair dryer, individual climate-control thermostat, direct-dial telephone, mirror TV with infotainment center, and safe. 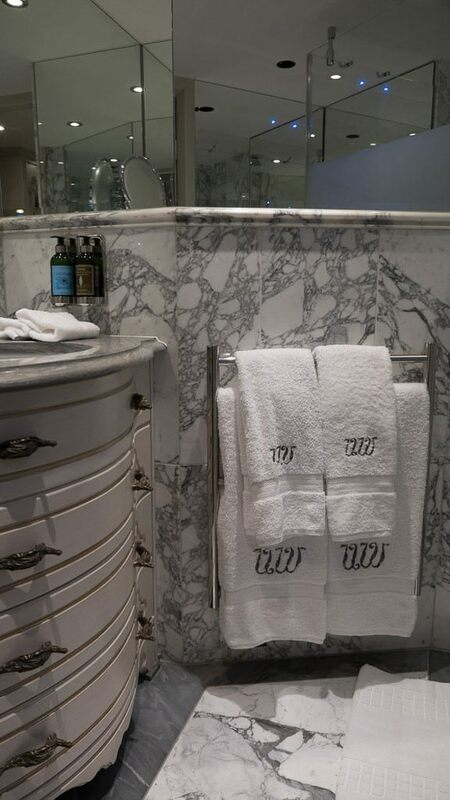 Marble bathrooms feature L’Occitane en Provence and Hermés bath and body products, plush towels, special towel warmers, backlit magnifying mirror, heated mirrors, cozy bathrobes and slippers. All suites are uniquely decorated and have additional amenities and services, including: in-suite butler service; packing and unpacking assistance; in-room breakfast; daily fruit and cookie plate, and an elegant evening snack; Nespresso coffee machine and fine teas; fully stocked minibar; bottle of wine upon arrival; shoeshine; free laundry service; and a special dinner in Bar du Leopard. 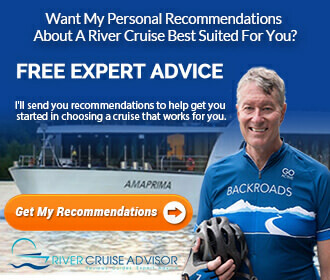 As an added bonus, guests booking suite accommodations receive free laundry service and a daily newspaper, along with slippers, an in-room coffee machine, a bottle of wine upon embarkation, a fruit and cookie plate, morning coffee and shoe shine. The Royal Suite offers extra benefits, including: a spacious living room, bathroom with a rain shower and tub and secluded toilet and bidet area. 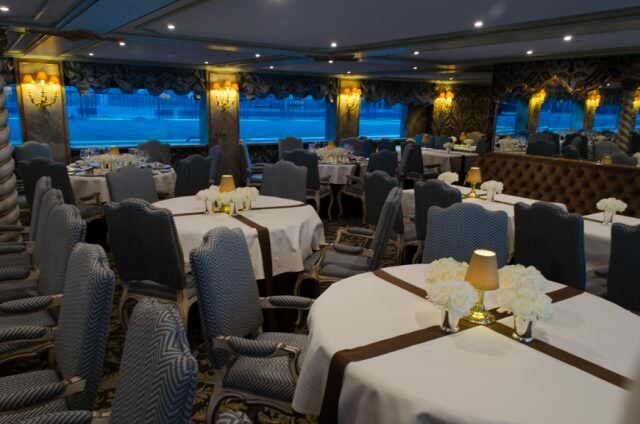 Aboard the S.S. Maria Theresa, there are several places for guests to gather. 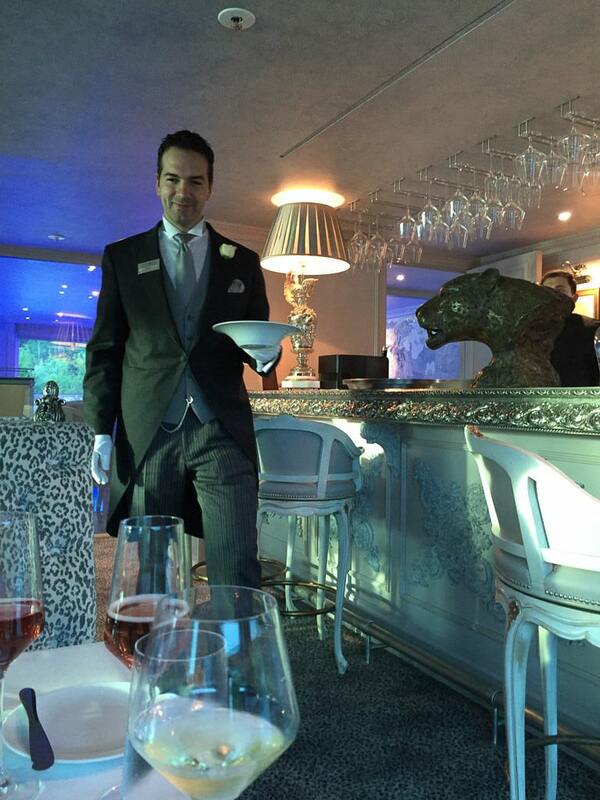 For those who enjoy socializing in a lounge-type atmosphere, there are two options on the Hofburg Deck (Deck 3) – the Bar du Leopard toward the back part of the ship and the Habsburg Salon toward the front of the ship. Both feature a full-service bar. Also on Deck 3 near the Habsburg Salon is the Bohemian Terrace. Dining options include the Baroque Restaurant on Schönbrunn Deck (Deck 2) and the Viennese Café on the Bavarian Deck (Deck 1). And for 24-hour beverages, there is a 24-hour specialty coffee and tea bar aboard the S.S. Maria Theresa. Fitness-minded travelers can get a workout in the Fitness Center on Deck 1. And on Deck 3 guests can enjoy a heated swimming pool on Deck 3 for daily exercise or just a leisurely swim. A couple of other social-gathering areas include the Lipizzan Cinema on Deck 1 and the Dürer Sun Deck with life-size chessboard on Deck 4. Additionally, the Serenity River Spa is located on Deck 1 as well as the Guest Laundry area. And the Reception Area is located on Deck 2. S.S. Maria Theresa resembles a boutique, European hotel. All staterooms and suites have a river view. An elevator for passenger use is available. Wireless internet service is available in hot spots throughout the ship. 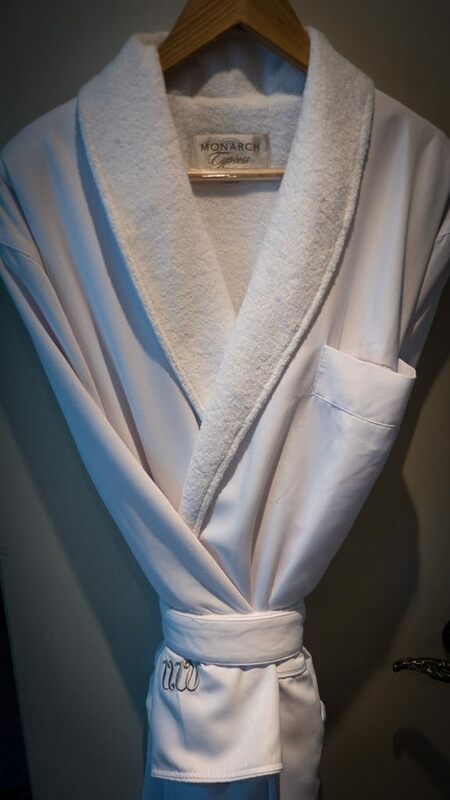 Guests in suites aboard S.S. Maria Theresa receive free laundry service and a shoe shine. Airport transfer fees, port charges and gratuities are included on all Uniworld Cruises. Onboard stateroom power is 220 volts; North American cruisers will require a power adapter. Read other articles about the S.S. Maria Theresa articles.